If the American Muslim community has a tendency to isolate itself, to retreat from the rest of American society, Zaytuna College is where that insularity comes to die. At the only accredited Muslim college in the United States, students spend a lot of time thinking about what it means to be American. Zaytuna is located on ‘‘Holy Hill’’ in Berkeley, just around the corner from the Graduate Theological Union, a consortium of Christian seminaries affiliated with University of California, Berkeley. The college emerged from the Zaytuna Institute, an Islamic educational organization founded in nearby Hayward in 1996. The college admitted its first class in 2010 and was accredited by the Western Association of Schools and Colleges earlier this year. The school has sixty students, split roughly equally between men and women. About half are from California, and the rest are from other parts of the United States. Students don’t take out loans and graduate debt-free, although most of them receive financial assistance from the school, which is supported by individual American Muslim donors. 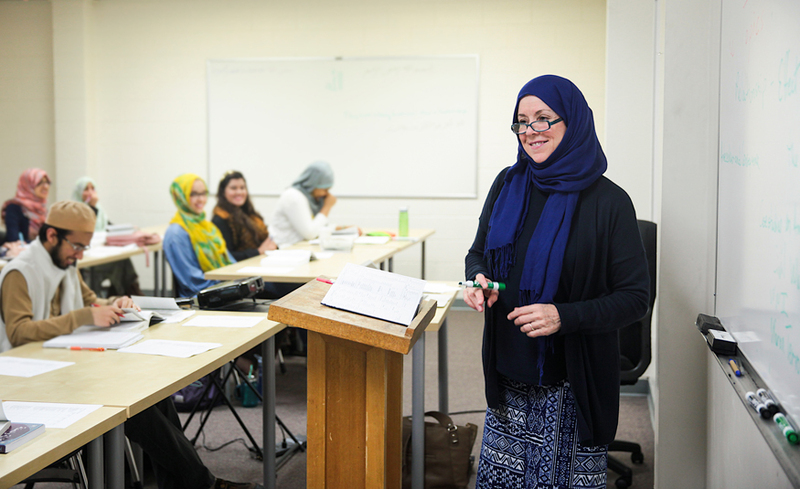 Zaytuna offers only one bachelor’s degree, in Islamic law and theology, but the curriculum combines Islamic and Western teachings. If students are going to be Muslims in the United States, Zaytuna believes they need to understand the country’s history and founding principles. Religious study isn’t enough at this college. Islam may be the world’s second-largest religion, but in the United States, it is the subject of much misunderstanding and even hatred, and its adherents are often maligned. 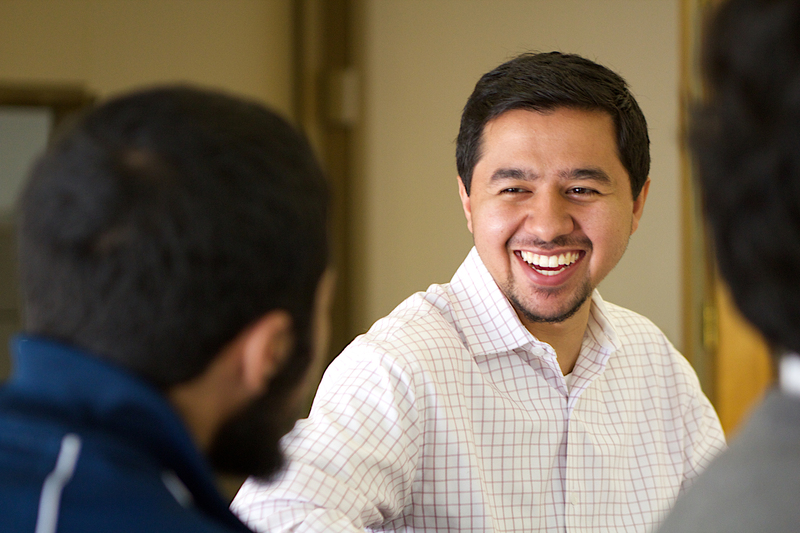 At Zaytuna, young Muslims are asked to figure out the future of their faith in America. Bhardwaj is a convert to Islam. He was raised Hindu. Both of his parents are from Rajasthan in northern India. Around that time, a Muslim friend shared some Islamic lectures with Bhardwaj. ‘‘I opened a Koran and started reading it, and it worked,’’ he says. Bhardwaj decided to travel in the Muslim world and quit his job. He and his friend went to Egypt. It was there that Bhardwaj converted, while studying with a local sheik in 6th of October City outside Cairo. Bhardwaj says his mother has become supportive after seeing how he has found his place at Zaytuna. Bhardwaj was drawn to the college to study Islamic principles of economics and transactional law. Zaytuna’s coordinator of learning outside the classroom, Dawood Yasin, says the college wants students ‘‘to think outside the masjid,’’ using the Arabic word for mosque. ‘‘How are we going to engage the broader community if we’re only working within our own community?’’ he asks. Yasin worked as a fashion model in the 1990s in New York, Paris, and South Africa. It was while working in South Africa that he converted. After converting, Yasin backpacked around the Muslim world and studied at an Islamic seminary in Damascus, eventually coming back to the United States, working as an Arabic teaching assistant at Yale and later studying at Dartmouth. 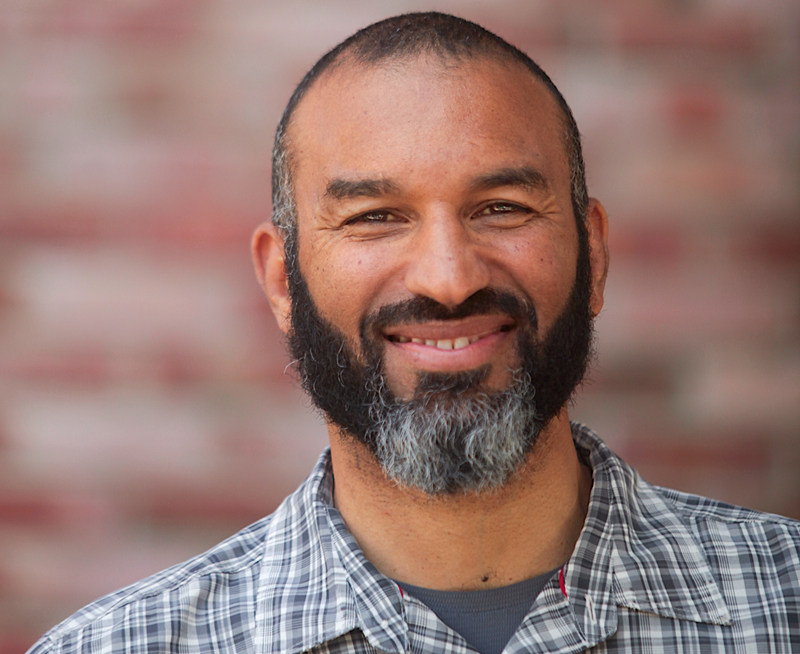 At Zaytuna, he leads service education trips with students, in which they work with non-Muslims through organizations such as Habitat for Humanity and with state forestry departments. He also sets up volunteer experiences for students at places such as domestic violence shelters. Some students traveled to Ferguson, Missouri, last year after the death of Michael Brown, to work as community organizers. Yasin’s focus with the students is not a ‘‘feel-good Islam,’’ he says. Yasin wants students to think about their faith in the context of issues such as poverty and the environment. Originally from New Haven, Connecticut, Keyes was raised Catholic. She converted to Islam in the late 1980s. She was teaching English at a community college and had several Muslim students. She wanted to learn more about Islam and in the process realized that the religion resonated with her in ways that Catholicism hadn’t. Anna Challet is a reporter with New America Media. All photographs courtesy Zaytuna College.